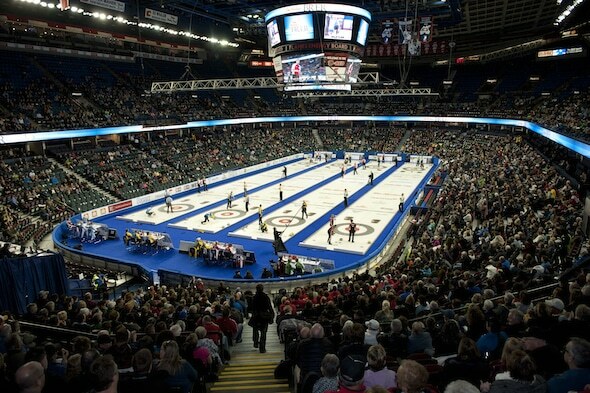 The winners were presented at the Tim Hortons Brier Closing Reception on Sunday afternoon. Named in honour of the highly-respected TSN Producer of curling, CFL football, world juniors hockey, etc., who died of cancer at the age of 39 in December of 2005. The Award was presented for the first time in 2007 by the Canadian Curling Reporters and TSN to a media person behind the scenes who has made a significant contribution to the sport of curling. 2015 winner: Jim Young, longtime camera man for TSN’s curling broadcasts. Young has been a camera man for 37 years, and worked alongside Vic Rauter on curling broadcasts for 26 years, and is favourite of many players for his skills as well as his enthusiasm for the sport. He’s attended nine Olympics, and shot every sport imaginable for TSN. Based on the nominee’s contributions from the previous curling season.The winner receives an all-expense-paid weekend trip for two to the Tim Hortons Brier to be recognized by Curling Canada during one of the playoff games. 2013-14 winner — Harvey Lyons. When failing ice conditions at the curling club in Lorette, Man., started driving membership down, longtime member Harvey knew it was time to go to work. His efforts to fix the ice and get membership back on track led to a healthy increase in revenue, an improvement that saved the club.